January 2019 – Creo en Dios! We are all familar with the adage that Those who cannot remember the past are condemned to repeat it. Today, January 27, is Holocaust Remembrance Day. 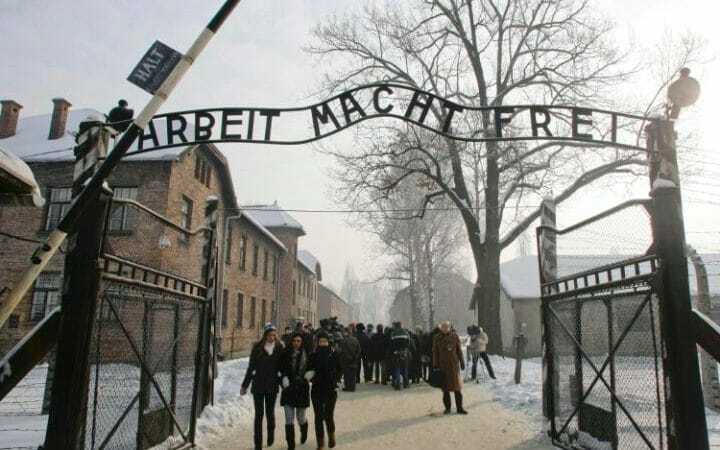 On January 27 1945, the Soviet army entered Auschwitz and liberated more than 7000 survivors, who were mostly ill and dying. As every year, many survivors of the camp will visit there, lighting candles and praying, or otherwise paying homage to those executed by the Nazis. The day is an important one for all of us to mark, not just those liberated from the camps and their families. Today is a challenge to all of us to learn from the past. To learn where racism and hatred inevitably lead if left unchecked. I was saddened yesterday to read of the death of Mary Oliver. I, and so many other people, have been moved and inspired by her poetry. I think it is fair to say that Mary Oliver did not simply visit this world; she truly was a bride married to amazement. I just finished reading Reza Aslan’s No God but God: The Origins, Evolution, and Future of Islam. This is the third of Aslan’s books that I’ve read, the other two being Zealot and God: A Human History (which I posted about here and here, respectively). As I did the others, I found No God but God, a worthwhile and provocative read. The book greatly increased my understanding of pre-Islamic Arabis, a history that I think helps understand some of how Islam developed. It also gave me a deeper understanding of the division between Sunni and Shi’ite Muslims than I had before. Apart from helping foster a greater understanding of Islam and the teachings of Mohammed, I found many of Aslan’s more general observations about faith traditions worth chewing on. I think this book is a good read for anyone, but I especially hope it will get some readership from those who fundamentally misunderstand Islam and the teachings of Muhammed, believing it to be an inherently violent faith with no respect for other faith traditions. I hope everyone had a blessed and wonderful Christmas and that the New Year is off to a good start. Immediately after my holiday travel was completed, I began teaching a J-term undergraduate honors seminar (hence the long time between posts). The course I’m teaching is called Heroes and Heroism. Heroism is something we often view as beyond us. We think of those to whom we ascribe the label “hero” as different from ordinary people. The goal of my seminar is to help students articulate what heroism is, to be inspired by the acts of a variety of people on whom that label has been placed, and to help them (in the words of Zeno Franco and Philip Zimbardo) see heroism as “something that seems in the range of possibilities for every person, perhaps inspiring more of us to answer that call.” In the course we examine the lives of some figures of the present and recent past who have been given the label hero. Thus far we’ve had three classes, and some great discussions! Name three figures you considered heroes pre-adolescence (before 14 or 15) and why? How do you define a hero and why does heroism matter? Feel free to comment with your thoughts.